This is a very good sign. 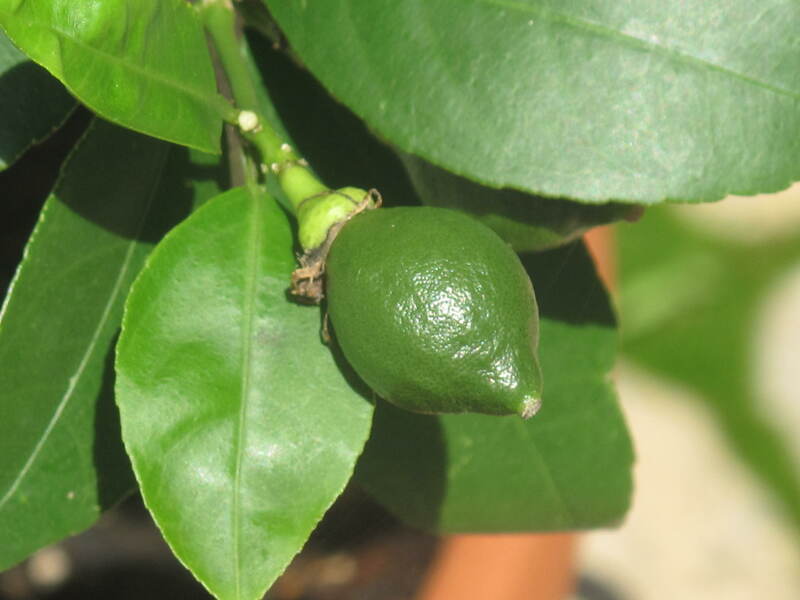 Earlier in the Spring, we planted two miniature citrus trees with plans to put them on the patio during the Summer and hopefully harvest some fruit. I think we might get our wish! After planting the shipped trees, there was about a month where it appeared there was little, if any, growth. Then all of a sudden and at about the same time, both trees erupted in a mass of blooms. There was a little bit of fragrance from the blooms, but not too much. Towards the end of June, the trees were placed outside where they receive several hours of direct sun. The blooms stayed intact for about a solid month and now many of the blooms have turned into baby fruit. 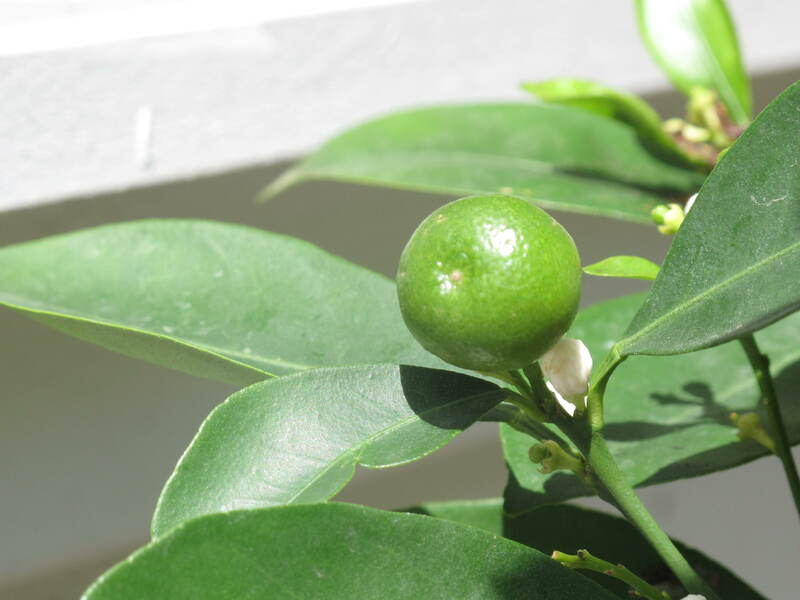 Above is a picture of the Meyer Lemon tree and below is a picture of the Calamondin Orange tree. Both are packing some serious baby fruit! So we’ve already talked about marmalade making with any oranges the Calamondin tree produces (with the help of regular oranges to make up any shortfall), but this is my vote for the Meyer lemons. It is one of my new favorite Summer drink recipes. Don’t worry if you don’t have Meyer lemons because regular lemons work just as well. Tint sugar with powdered yellow food color, if desired. Place sugar in a saucer. Moisten the rim of a martini glass with a lemon slice. Dip rim in sugar. In a cocktail shaker, combine vodka, Cointreau, lemon juice, and superfine sugar with ice; shake well. Strain into prepared glass. Make another, and another and then fall over. So here’s hoping we get to harvest our lemons and oranges by the end of the Summer. We don’t want our marmalade jars and vodka to be lonely if the fruit doesn’t make it, do we? That’s the one thing with gardening…fruit today doesn’t always mean fruit tomorrow. A bad storm or a big bug can ruin your plans (and crop) in an instant. However, if they do make it and you see us walking slightly unsteady with lemon-scented breath, you know why. Do you have any lemon or orange recipes that you can share with us here at Acorns On Glen? This entry was posted in Food, The Garden-2011 and tagged Acorns, Beauty, Blog, Cocktails, Cooking, Entertainment, Food, Fun, Gardening, Humor, Life, Lifestyle, Love, My Life, Nature, Photos, Recipes, Summer, Thoughts. Bookmark the permalink. Looks great. 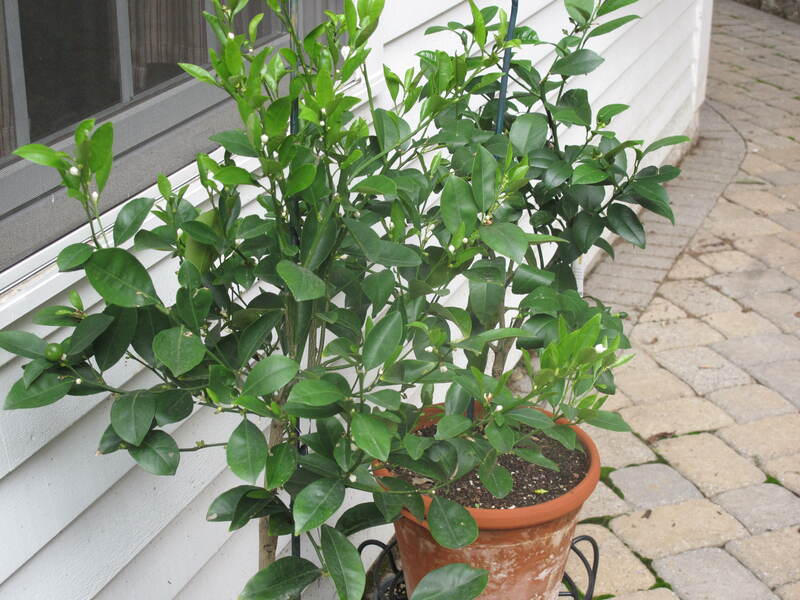 I keep thinking I should plant one or two citrus trees. Given the hot temps where you are at I think they would do really well.